A couple years ago we started this website with the intent of helping people who want to turn their TV into a smart TV. I was myself looking for a perfect answer to that question. I have found the setup that matches my needs (for now, it’s a cloudnet go CR13 box connected to my dumb tv), but there’s no “1 size fits it all” in this world. So, in 2015, what are the options to turn your TV into a smart TV? What’s the difference between an HD TV and a Smart TV? So, in essence, a Smart TV is an HD TV with additional functionality, and merges the experience of your TV with that of a computer or a gaming console. Step 1: Check if you have HDMI inputs on your TV! This guide assumes that you have a HD TV, and that you want to turn that tv into a smart TV. How do I know if I have an HDTV, you ask? Well, it’s simple: HD TVs are able to display high resolution video, and in general they have an HDMI port (or several HDMI ports). 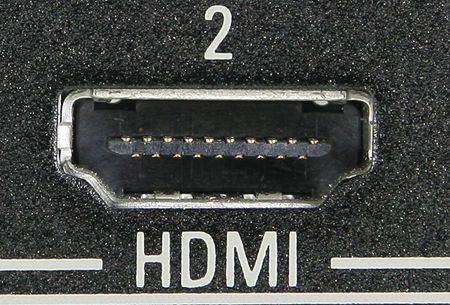 If your TV doesn’t have an HDMI port, it is probably not an HD TV. If your TV is *not* an HDTV (i.e. if it does not have any HDMI input as pictured above), please check this guide on how to make it HDMI compatible, then come back here. Alright, I do have an HDTV with HDMI ports, what are my options to Turn my dumb TV into a smart TV? We’ll assume here that actually buying a smart TV is out of the question for you. And, I’ll say, we tend to agree. It is possible that in the future, all HDTVs wil be smart TVs, and at that point there will be no question about this, but today it is a bad deal to get a Smart TV “as is”: they are overpriced, for a service that other devices offer at a better price, often with better quality. Basically, you can get a Smart TV, or you can plug a “smart device” into your dumb TV’s HDMI input. This is what we recommend here. In all cases, you will need an internet connection to make full use of your new smart TV, whether you buy it or use one of the solutions below. Most devices support both Wifi and ethernet cables, but make sure you have the right setup before making any purchase! First, look around your house, it is actually possible you already have the right device to connect to your TV and turn it into a smart TV! It could be that you have an underused tablet, computer or phone. It is possible you’re a gamer, own a gaming console, but are majorly underusing it for “smart TV” purposes. 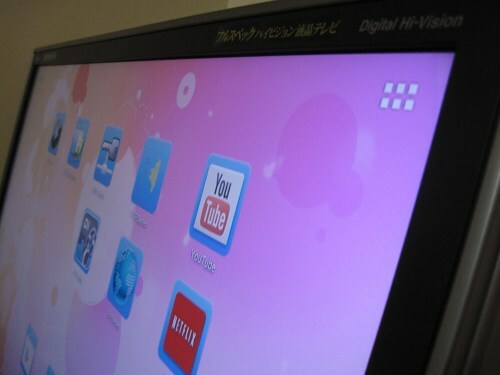 In these cases, you might not have to purchase anything to turn your TV into a smart TV! Below we’ll give a list of the various items you can connect to your TV, to turn it into a smart TV. Pick your favorite one! This is the solution we like to recommend: there exists dozens of devices today identified as Smart TV set top boxes, or HDMI dongles. Popular ones include the Roku, the Chromecast, The Fire TV (or fire TV Stick), The Apple TV. 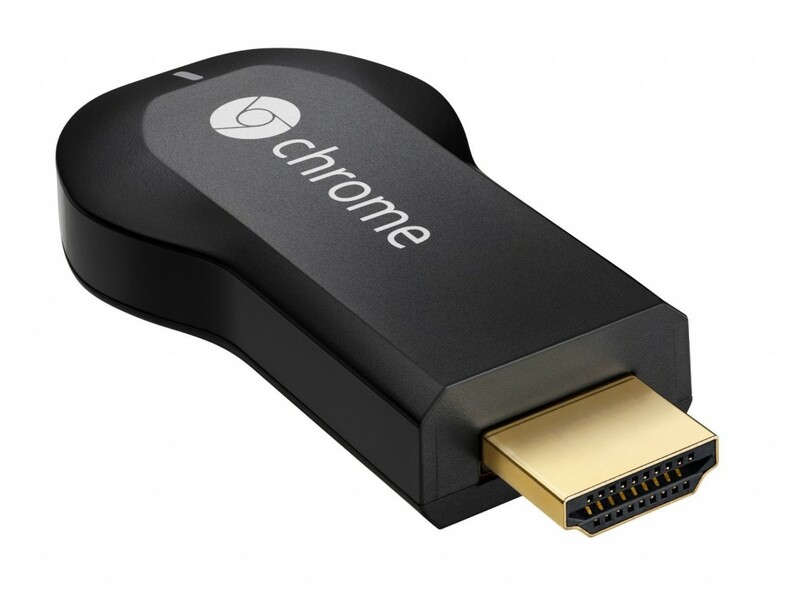 These devices are all “plug and play” into your TV’s HDMI port. All of these boxes come with pros and cons, but they will all give you access to the major services: Netflix, Amazon Instant video, etc…, and for most of them, the setup is extremely straightforward. For more details, check our “top 10″ of the set top boxes. One of your main decision factors will be the size of the device: “sticks” plug behind your TV and are usually not bigger than a USB key. In general, they have less horse power and less connectivity options (e.g. no ethernet, only WIFI) than the “set top box” counterparts. But they are smaller, involve less cable clutter, so they are a good option too. Again, check our top 10 for a comparison. 2. Mini computers (HTPC)… or an old laptop! 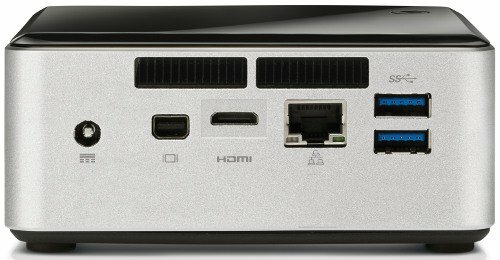 Mini computers are on par with the “Set top box” solutions I mentioned above, and depending on how you look at it, fall under the same category. They are cheap computers designed to be power efficient, and used as a media solution that you can connect to your TV. They are in general slightly more expensive that Android set top boxes, but are also more “multi purpose”, and you can see them as cheap PCs rather than expensive TV boxes. IF you’re looking for the compatibility and flexibility of a computer, these are the way to go. Alternatively, if you have an old laptop – not too old, you’ll ideally want one with an HDMI connection! -lying around, this can also be a cheap solution for great flexibility. A laptop has actually been my solution for some years before I discovered the great world of Android set top boxes, and it was doing fine. Drawbacks of a “regular” laptop as the solution is that you’ll probably need to install a media center solution (such as xbmc/kodi) on it, find a way to remote control it, etc…; or maybe get a remote keyboard +mouse (I recommend a keyboard with integrated touchpad such as this one) and control it as you would a regular Windows interface. Depending on how old your laptop is, it could also become noisy, which is not the case of dedicated solutions such as Set top boxes or HTPS described above. The counterpart is the flexibility, your laptop will be able to access the latest streaming sites, etc… for years before it becomes obsolete in any way, and you can repurpose it for other goals anytime you want (something that an HTPC can do too, by the way, but it would be more difficult for dedicated dongles or set top boxes). 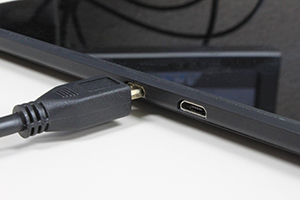 Many tablets and phones have an HDMI output nowadays, and you might have one you don’t use too much around the house, that you could plug to your TV. For example, Amazon’s Kindle Fire HD family all have HDMI out. you’ll need a micro hdmi to hdmi cable in order to plug the device in your TV. Once this is done, you have access to all your movies on your TV instantly. Many other Android tablets have HDMI outputs, and you can get reasonable one for less than $60 nowadays. If you’re considering buying one though, ask yourself what type of use it will get. For solely the goal of plugging it with your TV, then the Set top boxes choice above is probably your best bet, it will be cheaper, and a better experience overall. Arguably, one issue of the Android tablets (including the Amazon Kindle Fire tablets) is that you cannot control them with a remote, losing some of the benefits of making your TV “smart”. But there exists apps such as Tablet Remote that let you control a tablet from a smartphone (or from another tablet!). So, you end up plugging your tablet into the TV, and controlling the result with your phone as a remote, which is pretty convenient. 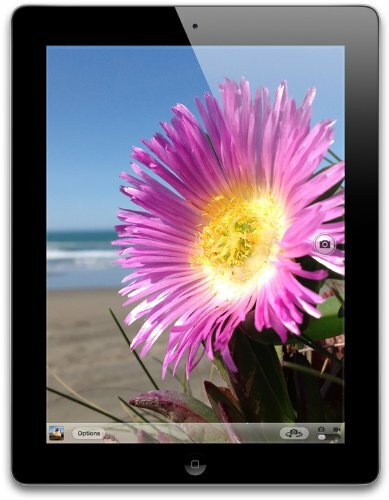 If you have an iPad, it does not ship by default with HDMI out. However, Apple sell an adapter that is fully supported by them: you will need both the “lightning to HDMI” connector from Apple, but also an actual HDMI cable. As for the android tablet choice above, if you don’t already own an iPad, consider choosing directly a set top box as mentioned above if your only goal is to connect it to the TV. iPads are a great tablet, but could make for an expensive “smart TV” solution unless you already have one that you don’t use too much. If you’re a gamer, a gaming console might be your way to the great world of Smart TVs. Modern gaming consoles all support some amount of web browsing, and loads of movie streaming. As far as games are concerned, well, it’s their main purpose so you’re covered. If you’re looking for the mainstream choices, the PS4 and XBox One are both valid options. 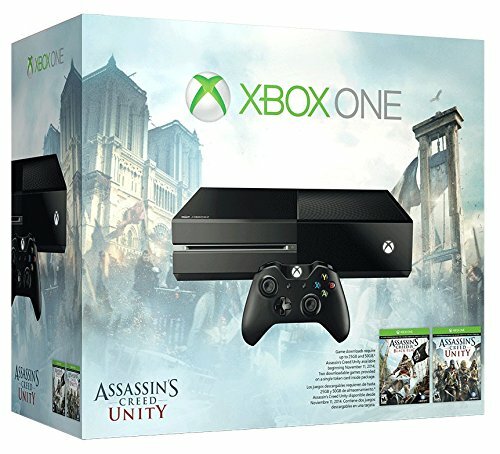 They have their own sets of exclusives in the space of games, but when it comes to video streaming, they’re pretty much on the same level, with support for Netflix, Amazon Prime video, etc… It’s worth noting that these consoles in general have poor support for watching your own movies (in mkv, h264, etc… formats) so they might not be your choice if you’re looking for that kind of flexibility. They’re also on the high price range, so you should consider buying one of these only if gaming will be your main goal. On the low-price range, the OUYA, despite having been heavily criticized, is a really nice option. It not only supports everything Android supports (which includes Netflix, and, as of recently, Amazon Prime video), but also has nice gaming options, and direct support for XBMC. At under $100, this is a nice option if you’re headed towards gaming and on a budget. You can easily repurpose some of your existing computers or tablets to turn your TV into a smart TV. An alternative is to buy a dedicated set top box, which can cost as low as $35. Disclaimer: The Amazon links on this site are affiliate links. We get a percentage of the sale if you buy through our links, but you don’t pay anything additional. That being said, the recommendations on this site are genuine and based on products we have tested and actually recommend. Hello im trying to pair my bravia sony tv to my smart phones the tv does have hdmi ports but no pairing device option please help!